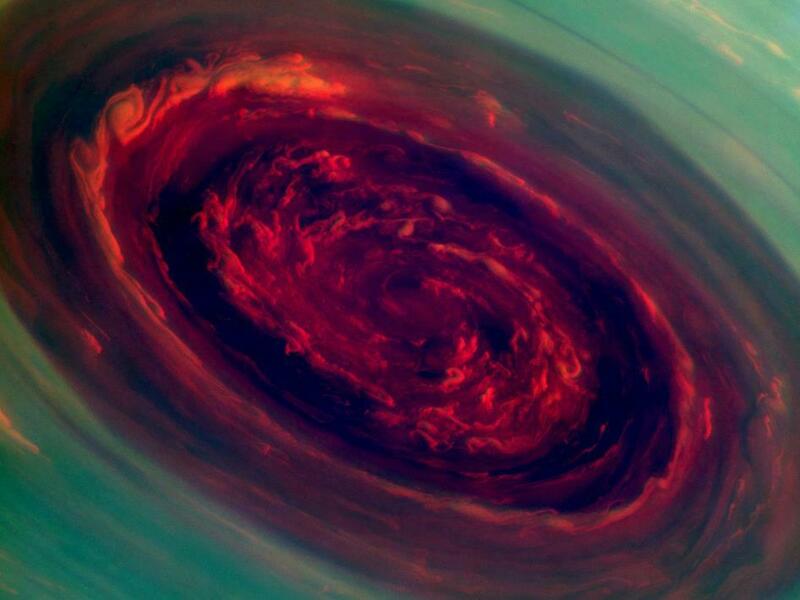 This fantastic photograph of a hurricane on Saturn was recently snapped by NASA's Cassini spacecraft. It measures an astonishing 2,000 kilometers across the eye - that's big enough to cover the UK twelve times. Wind speeds reach as fast as 150 meters per second. 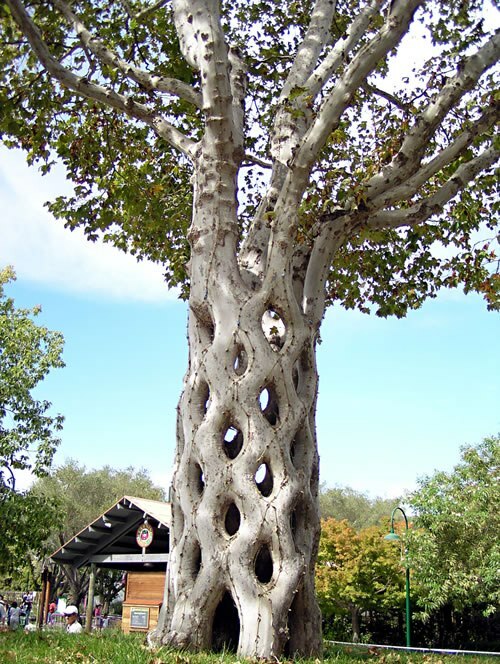 In the early 1900s, Swedish tree sculptor Axel Erlandson planted “The Basket Tree.” Actually, this is a bit of a misnomer, as it is a collection of six different Sycamore trees that have been grafted together. In the late 1940s, Erlandson opened a roadside oddity attraction containing 20 to 30 tree sculptures. Today, they have been transplanted and are on display at Gilroy Gardens amusement park in California. 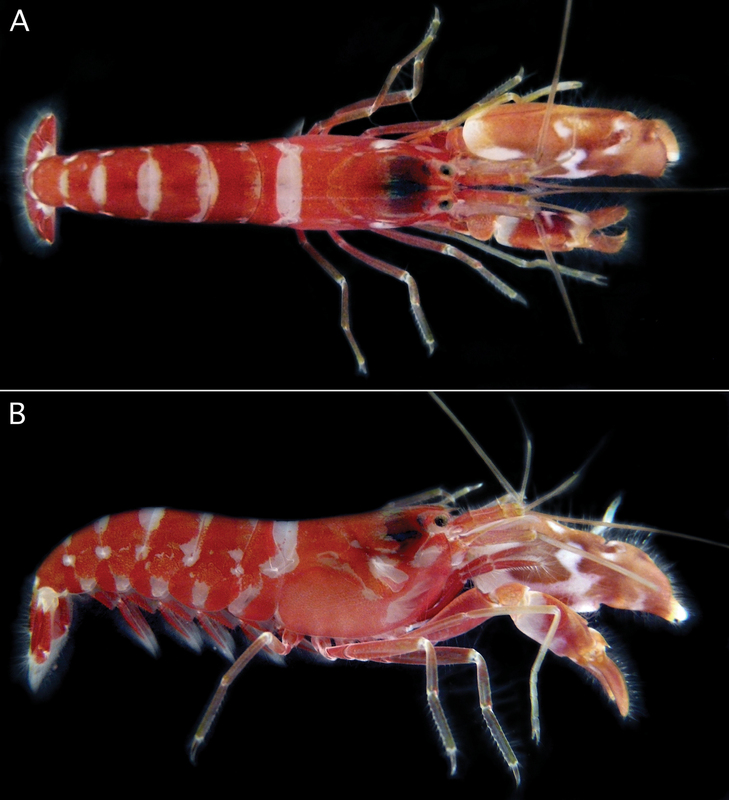 A shrimp is the world's loudest animal? 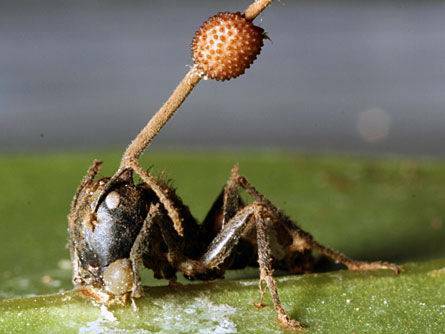 Ophiocordyceps unilateralis, also known as cordyceps, is a type of fungus that infects insects and takes over their nervous systems. The method with which they take control of nervous systems is still a mystery to science. 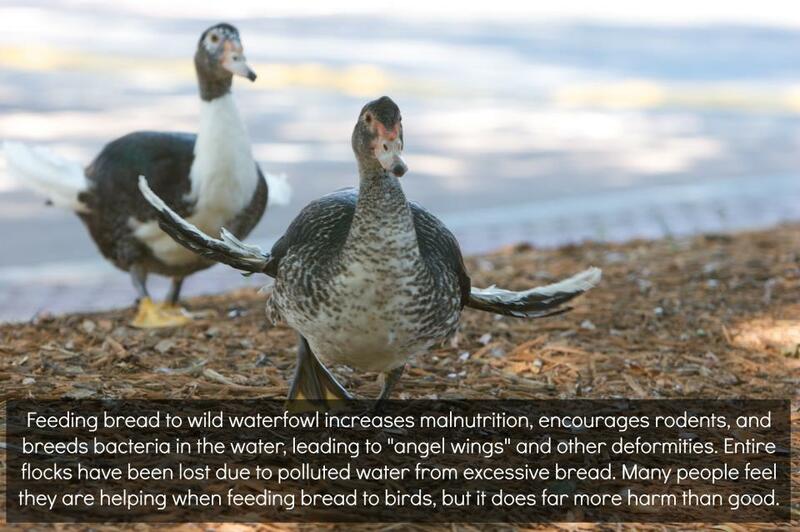 However, the repercussions of such an infection are all too clear. 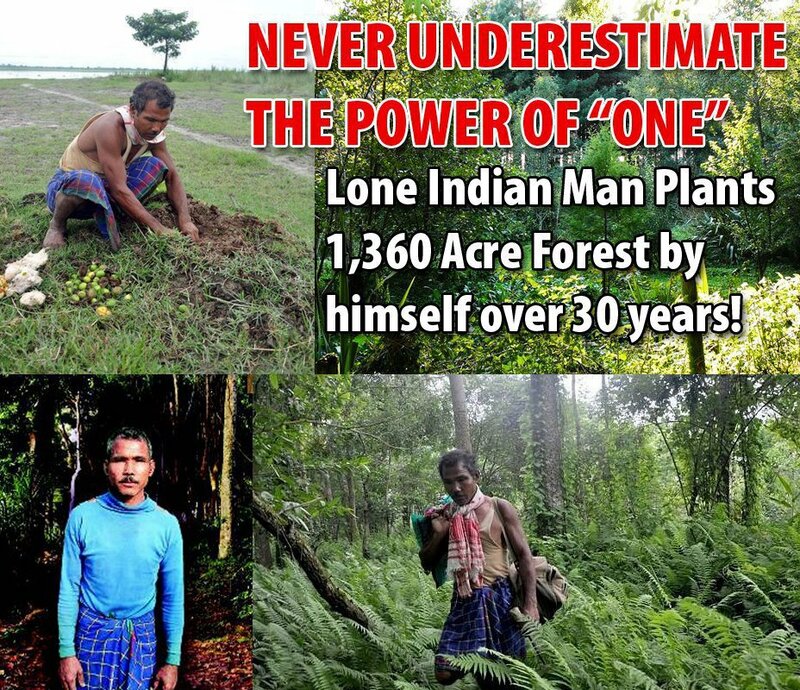 A little over 30 years ago, a teenager named Jadav “Molai” Payeng began burying seeds along a barren sandbar near his birthplace in northern India’s Assam region to grow a refuge for wildlife. Not long after, he decided to dedicate his life to this endeavor, so he moved to the site where he could work full-time creating a lush new forest ecosystem. Incredibly, the spot today hosts a sprawling 1,360 acre of jungle that Payeng planted single-handedly. 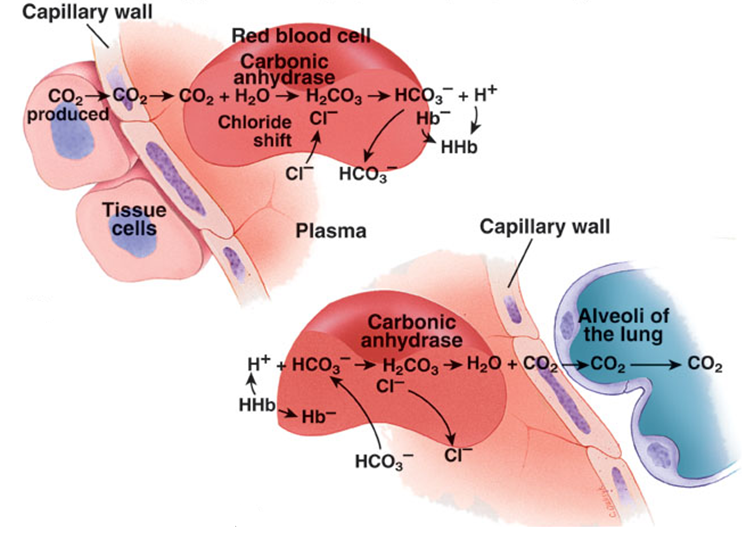 Do certain foods actually increase/decrease blood pH? 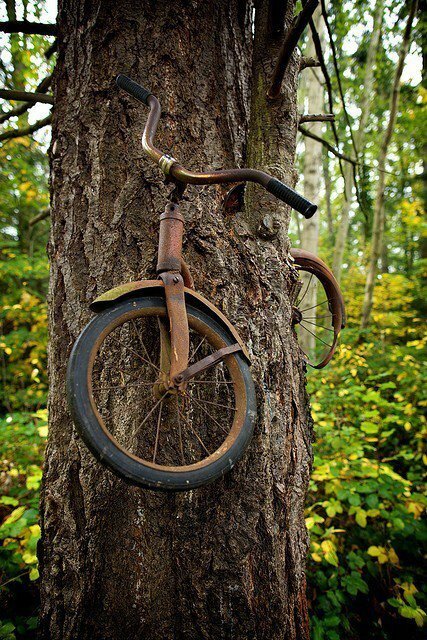 How this bicycle got up in the tree has been the subject of plenty of local legend around Washington’s Vashon Island. The real story involves a boy in the 1950s who left his bike in the woods while playing with friends, because he didn’t like it. The bike was placed about two meters high in the tree, which eventually grew around it. 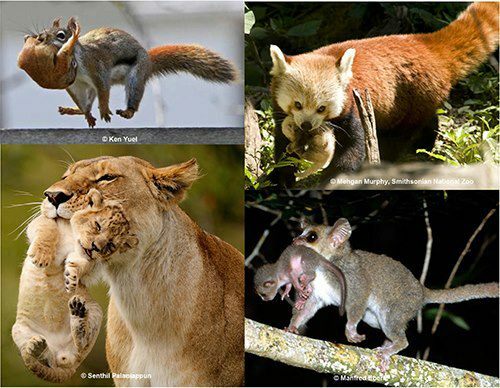 Human babies and mouse pups both automatically and deeply relax when carried by their mums, new research has revealed. The study showed the babies' heart rates slowed down and their nervous and motor systems relaxed when they were carried, suggesting it doesn't just feel good, its an essential mother-infant interaction. 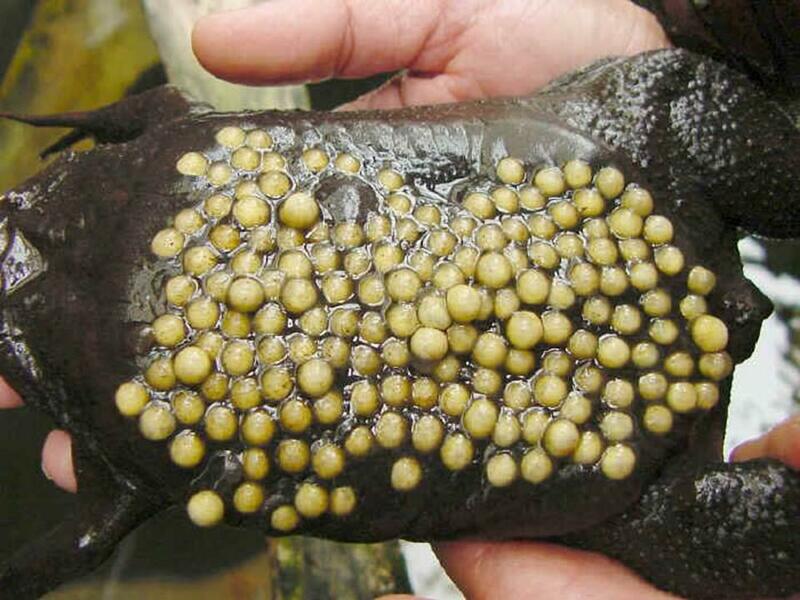 The surinam toad reproduces in a way that is not for the faint of heart. The female expels dozens of eggs, which the male fertilizes and places on her back, where they become engrained into the flesh. When it comes time to hatch, like so many pimples, the eggs rupture and the babies emerge. Is technology the cure to all diseases? Brain electronic interfaces can make a blind person to see, a deaf person to hear, and help people to increase their memory capacity. Bioengineered kidney actually produces urine! 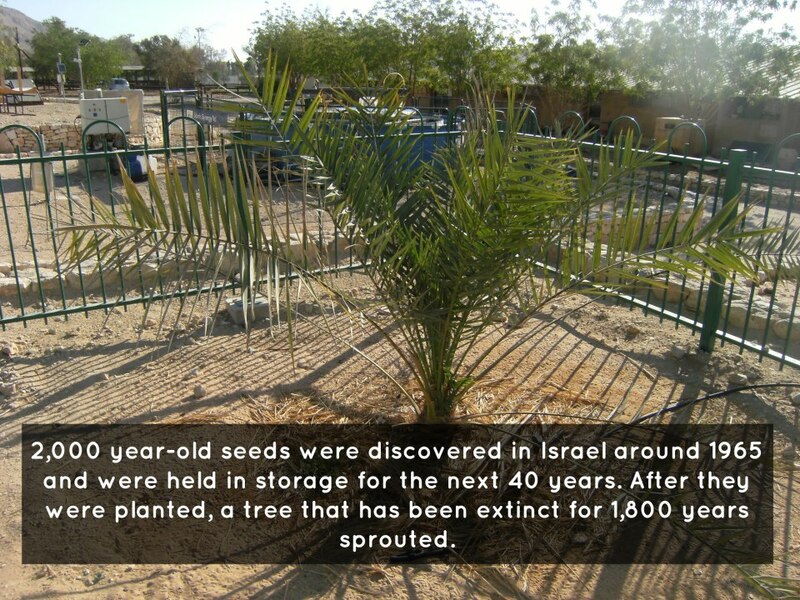 A Judean date palm plant was planted in 2005 using seeds that were hidden away for 2000 years. While other species of date palms thrive around the world, this particular species was thought to be extinct for 1800 years. Date palms are either male or female, and this one, nicknamed Methuselah, is a male, so it will not produce fruit. However, the plant is alive and well, and is the oldest known seed to successfully germinate. 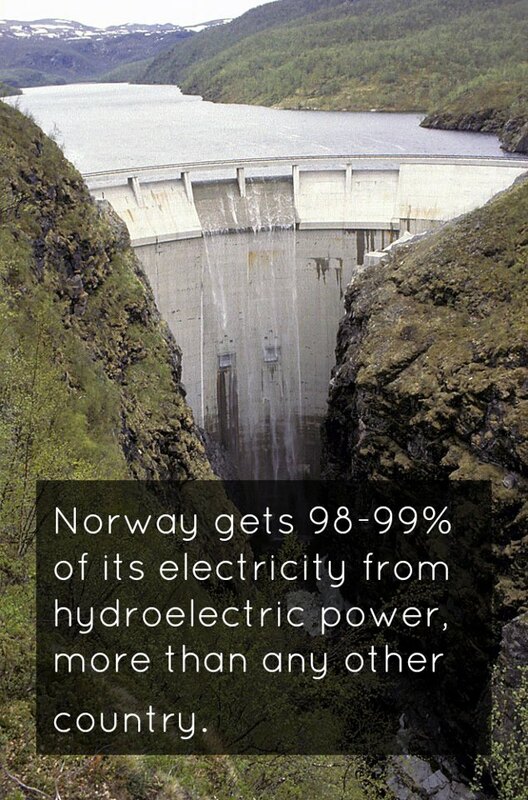 Nearly 20% of all electricity in the world comes from hydropower, and Norway has adapted to rely nearly entirely on it. 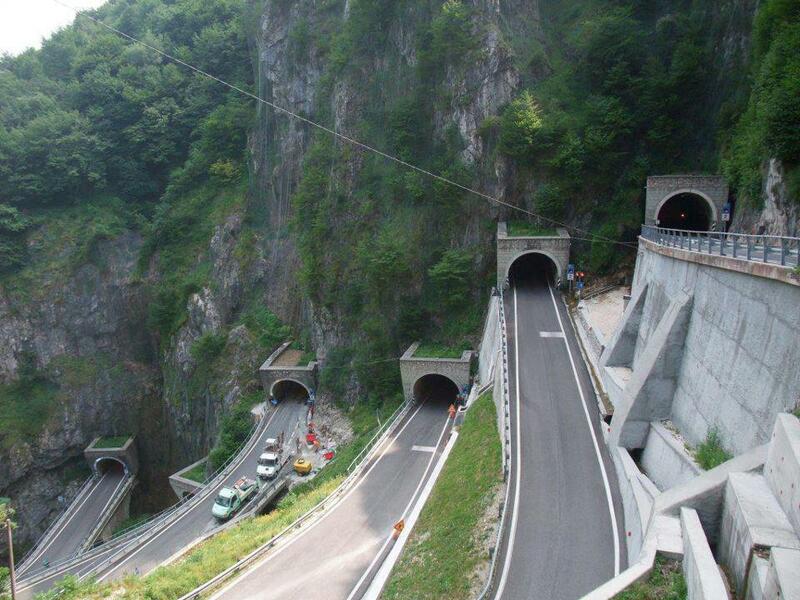 They are the world leader in hydroelectricity production, generating 120 TWh annually. France and Sweden are next highest, each generating ~65 TWh per year.